Winter in Courchevel, an unrivalled ski destination, is a bustling world of alpine sports with enthusiasts coming to experience the world class 3 Valleys and the beautiful Vanoise national park. Summer is a well kept secret, characterised by peaceful walks and rides in Alpine meadows and climbs up rocky peaks for mind-blowing views. 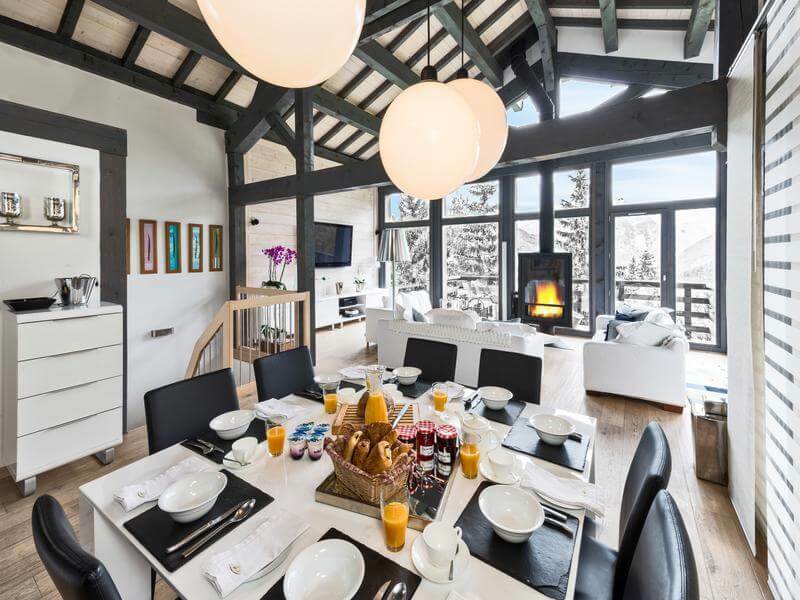 Facilities are second to none and whether your property is a luxury chalet on the piste, a cute apartment or a characterful village house, you’re never too far from UK family and friends and always entertained by the surroundings and adventure. 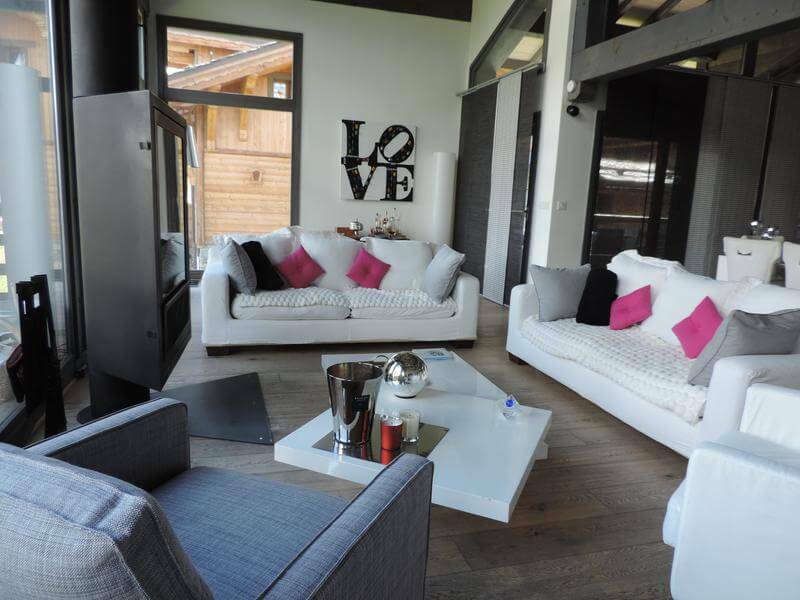 250 m² semi-detached 4+ bedroom chalet with indoor heated swimming pool, sauna, Jacuzzi, garden, huge double car garage & ski room, private driveway with extra parking, unobstructed views over the mountains & valley in a private secure residential domain in Courchevel village 1550. Sleeps 8 – 12 people with room to create another large double bedroom in the mezzanine. Entrance hall with built-in closet & separate WC. Open living & dining area with cathedral ceilings, huge windows, freestanding Scandinavian style wood burning stove & large mezzanine. Direct access to the balcony. Stunning mountain views & plenty of sunlight. 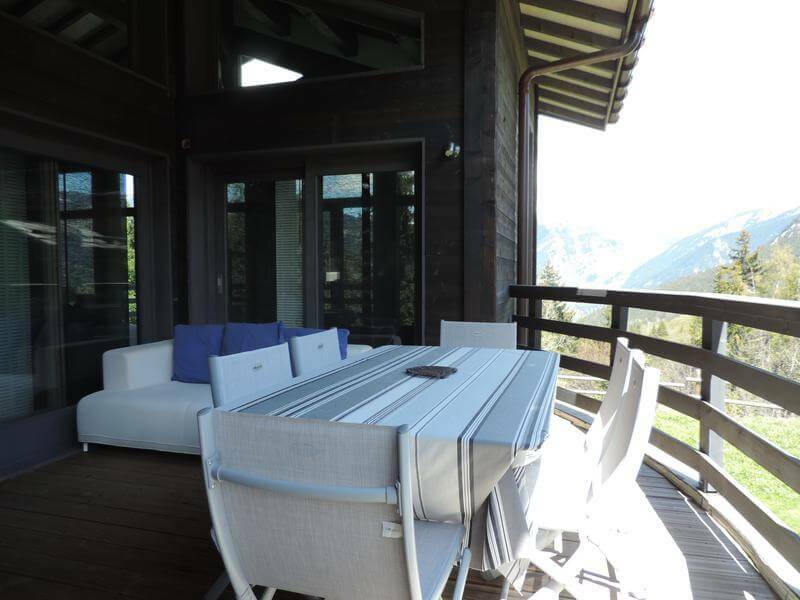 Fully equipped kitchen with pantry & direct access to a covered wooden terrace. Hallway with built-in closets & separate WC. Large double bedroom with built-in closets, en-suite bathroom with bath, overhead shower, washbasin, cupboards & electrically heated towel rack. Separate shared WC. 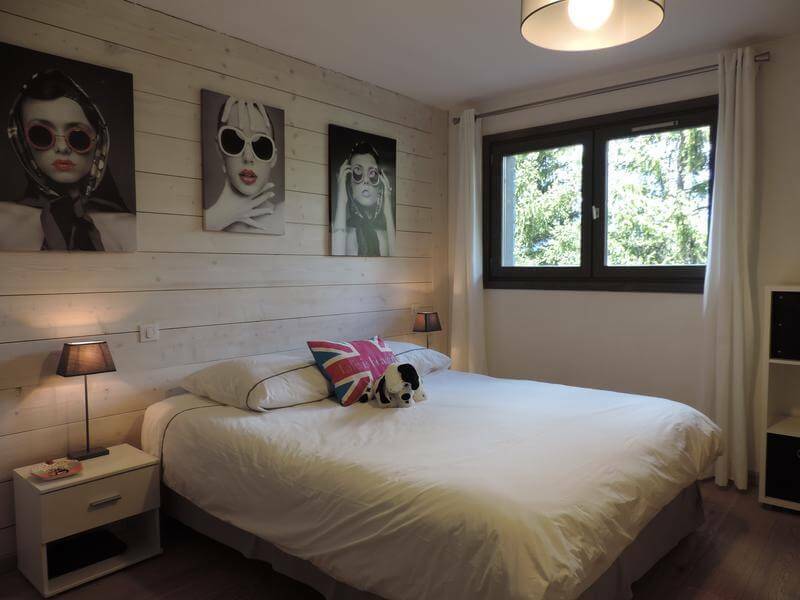 Second double bedroom with built-in closets, ensuite bathroom with Italian shower, washbasin, cupboards and electrically heated towel rack and separate shared WC. 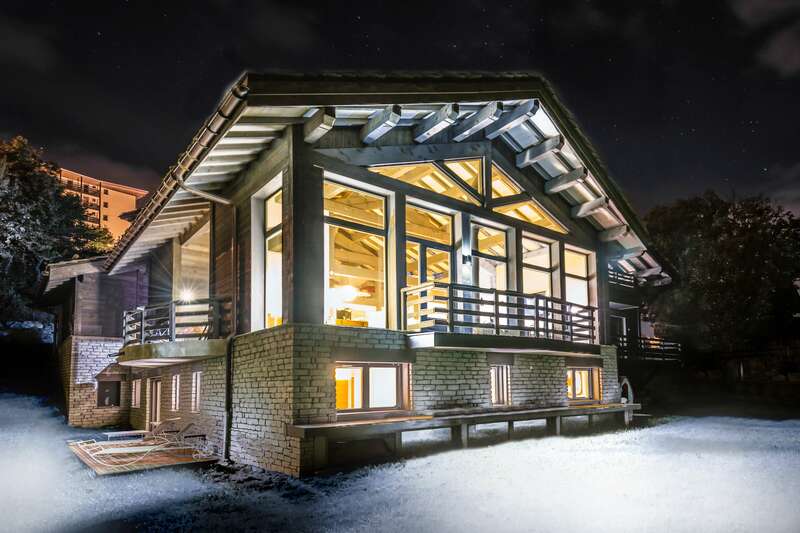 The master bedroom in this chalet is superbly spacious with a small lounge area & doors opening onto its own terrace. There is an en-suite bathroom featuring his and hers walk-in Italian showers, 2 separate sinks & cupboards, heated towel rail plus a separate WC.There is a very large, spacious dressing room with access to the hallway which is shared with Room 4. Access to the fourth bedroom is via the dressing room which is shared with the master bedroom. 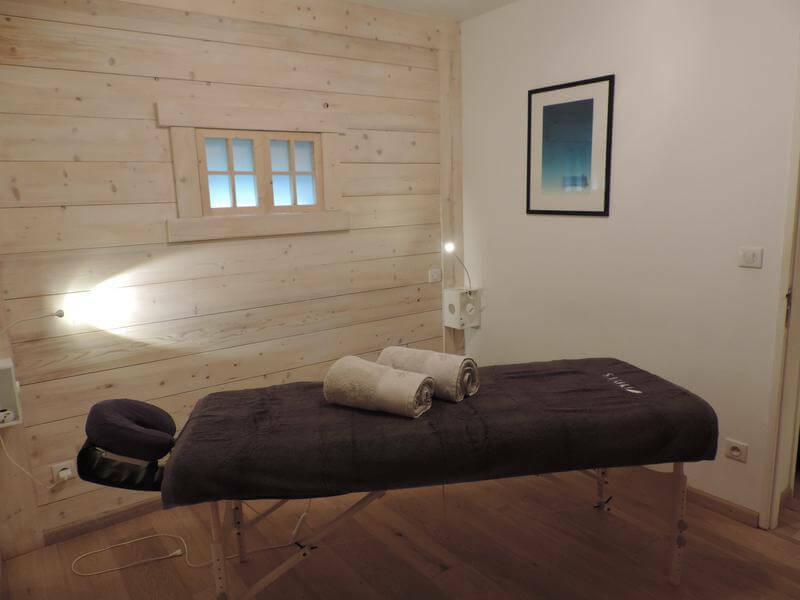 The bedroom is a twin room with a small sitting area, ensuite bathroom with Italian shower & sink. The WC for this room is separate and accessed from the hallway outside bedrooms 1, 2 & 3. The laundry room has built-in closets, double sinks & direct access to garage & separate storage room. 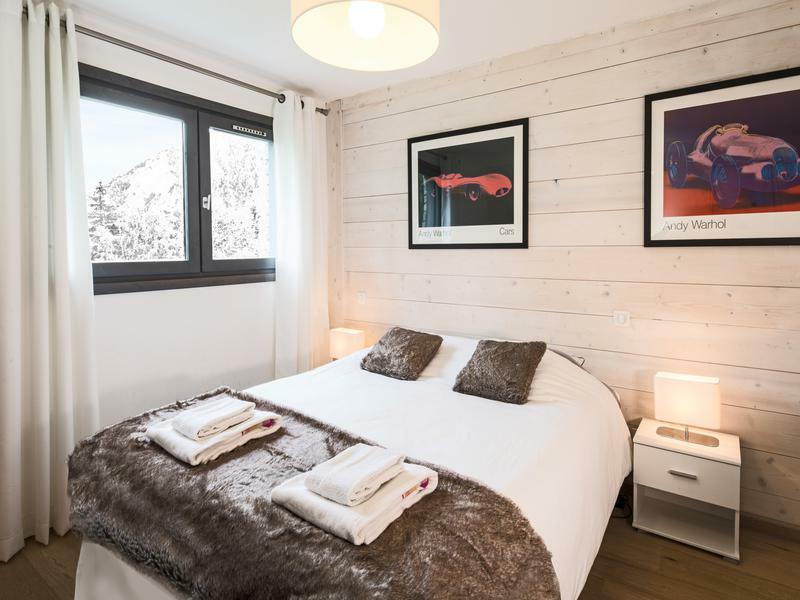 This is an additional twin bedroom with built-in closets located on the underground level of the chalet, the same level as the spa area. This bedroom has false windows, ensuite bathroom with shower & sink & shares a separate WC with room 6. Room 6: A large double bedroom with false windows, built-in closet, ensuite bathroom with Italian shower & washbasin and separate shared WC with room 5. 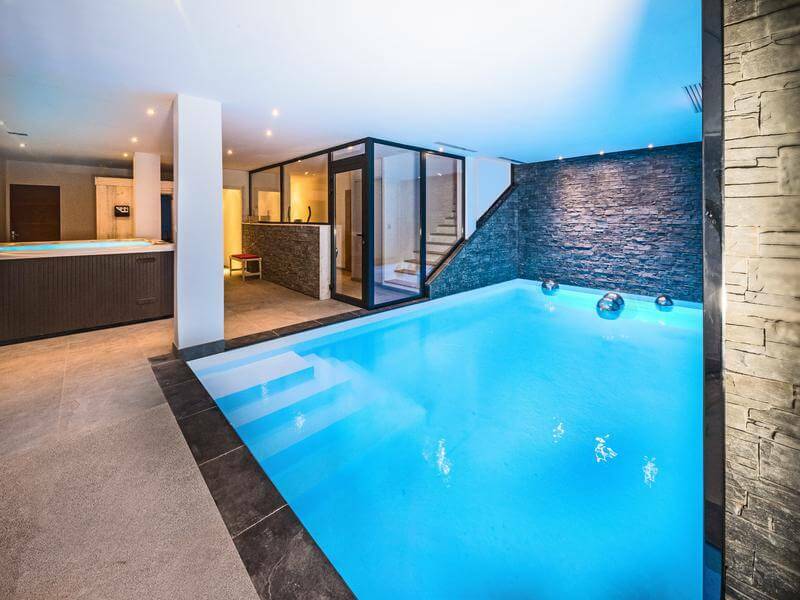 There is a superb spa and wellness facility with a nice relaxation area, large heated swimming pool equipped with a contract current jet for swimming without laps, a Jacuzzi/hot tub, sauna, shower plus a changing room with WC and washbasin. There is a very large storage room and separate wine cellar with a gravel floor & aeration. Local technique for spa & dehumidifier, geothermal heating unit, 2 cumuli of 400 liters each.